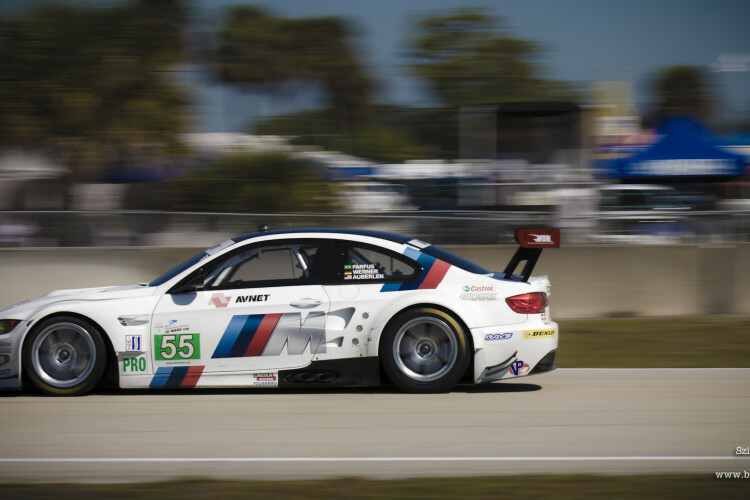 BMW RLL team kicked off the 2011 American Le Mans season with an impressive 1-2 win at the popular Sebring 12-hour race. The no. 56 BMW M3 GT, driven by Dirk Muller (DE), Joey Hand (US) and Andy Priaulx (GB) claimed GT victory in the 12-hour race after 312 laps. Dirk Werner (DE), Bill Auberlen (US) and Augusto Farfus (BR) came second with the no. 55 BMW M3 GT. The classic endurance race previews the 2011 ALMS GT class where BMW will be dueling with Ferrari and Corvette. BMW RLL’s former driver, Tommy Milner came third aboard its Corvette. The race at the “Sebring International Raceway” not only counts towards the American Le Mans Series, but also the 2011 Intercontinental Le Mans Cup. 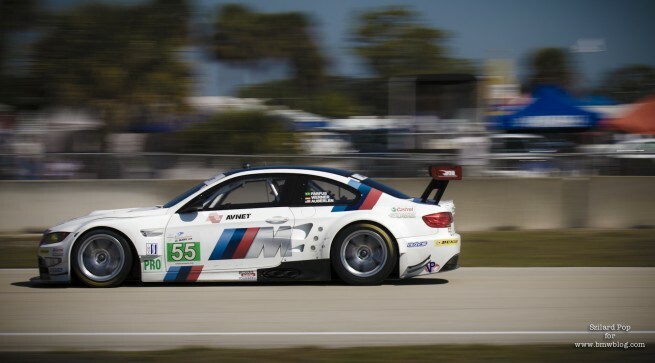 This is BMW’s third ALMS win after scoring back-to-back victories in Road America in 2009 and 2010. Since 2009, yours truly was only present at these three races that coincided with wins for BMW. This year, our new photographer Szilard Pop joined at Sebring our Senior Editor Andrew Murphy to bring you some amazing photos of the BMW M3 GTs race cars in action.